homebrew of Android, based on Marshmallow and not AOSP or stock Android. One interested tidbit in the TENAA report is that there is a 6GB of RAM variant listed. It is not clear if this is indeed something OnePlus plans to release. 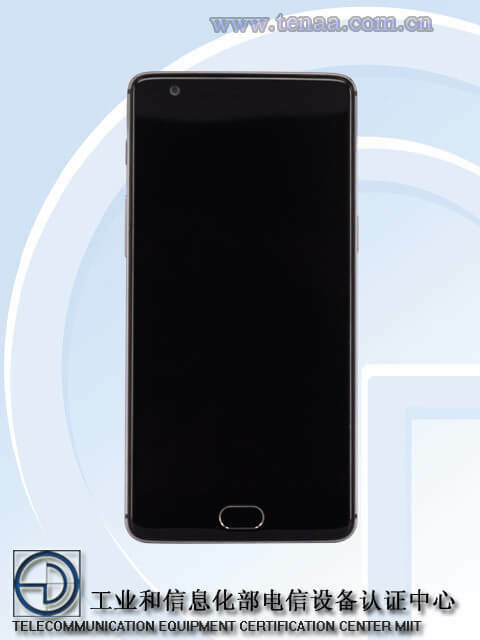 What is also interesting is that, based on the renders of the OnePlus 3 on the TENAA site, it does not appear to have a fingerprint scanner and there are no references to one in the specifications either. It is possible that the larger-than-normal home button on the front of the phone acts as the fingerprint scanner. Regardless, we will know what the OP3 brings to the table in just a little over two weeks.